Cities and counties are pushing back on a new state rule that prohibits them from using independent contractors to administer their building programs. SALEM — A new state rule prohibiting municipalities from using third-party inspectors to administer local building programs could jeopardize the ability of cities and counties to spur housing and economic development, city advocates say. Under the temporary rule — expected to become permanent — cities and counties will be required to either hire a building official or cede their programs to a larger jurisdiction with a building official on staff, such as a county or the state. Up to three cities are allowed to share a building official. The rule also boosts the certifications required to be a building officials, and it requires jurisdictions to hire an electrical inspector. "I think a lot of folks are questioning pretty much everything about why the rule is necessary, how they can afford to comply and why they should have to when they haven't received complaints from builders," said Erin Doyle of the League of Oregon Cities. The change was prompted by a 22-page memorandum issued by the Oregon Department Feb. 16 in which Assistant Attorney General Katherine Lozano concluded that relying entirely on third parties to conduct a building program violates state law. The state Building Codes Division within the Department of Consumer and Business Services is the agency responsible for delegating the state's authority to approve building plans to cities and counties. Approving local building programs that depend on independent contractors to administer those programs would be unconstitutional, according to the memo. It is legal for cities and counties to use such third-party services when the contractors are under the supervision of a building official, Lozano wrote. Third-party contractors may continue to review and conduct inspections on behalf of cities based on list of standards, statutes and rules. However, they are prohibited from issuing or denying building or electrical permits, issuing stop work orders, resolving disputes or providing code interpretations, Sunderland said. Those tasks need to be assigned to a building official on staff, he said. Leaders of municipalities with populations as small as 1,000, such as Aurora, said they cannot afford to hire a building official. Malheur County officials are considering adding positions for a building official and an electrical inspector to the county's next budget. But they are concerned they will be unable attract qualified candidates to fill the positions, said Malheur County Attorney Stephanie Williams. "We think it will be hard to obtain a building official, structural inspector and electrical inspector in Malheur County," Williams said. "We are not in close proximity to larger jurisdictions that might have those." 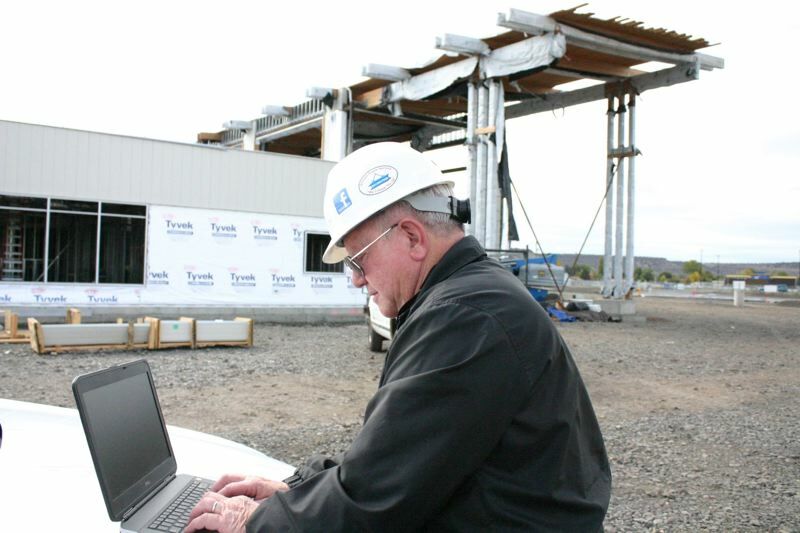 An estimated 25 jurisdictions rely entirely on independent contractors to operate their building and electrical inspection programs, said Mark Long, administrator of the Building Codes Division at the Oregon Department of Consumer and Business Services. So far, the Building Codes Division has identified 14 specific cities and counties whose programs are up for renewal July 1 that may be out of compliance. More jurisdictions could be identified as division officials review their programs throughout the rest of 2018, said Jake Sunderland, a department spokesman. The jurisdictions are Astoria, Dunes City, Estacada, Florence, Hood River, Josephine County, Lake County, Lakeside, Lebanon, Lincoln City, Malheur County, Phoenix, Reedsport and Veneta. City officials in Aurora and Clatskanie have said their jurisdictions also are out of compliance with the new rule. Their programs are not yet up for renewal. Some of the counties and cities have relied on independent contractors to operate their building programs for up to 30 years to save the expense of hiring a building official and in some cases, to achieve greater efficiency. During that period, the state has repeatedly approved their building programs, city officials said. Now, the state is giving cities such as Estacada only a month to outline how they plan to come into compliance with the new rule by Jan. 1. One option that city is considering is to contract with Clackamas County, said Estacada City Manager Denise Carey. The county has indicated it's equipped to handle the workload from Estacada, a city of about 3,000 people, Carey said. Contracting with the county would increase the number of steps applicants would need to take to obtain a building permit because they would need approval from both the county and the city. The turnaround time for issuing permits also is longer at the county than at the city, Carey said. Processing a residential permit application takes Estacada's independent contractor, Northwest Code Professionals, three to seven days, whereas the turnaround time at the county is three to six weeks, she said. "It's just the convenience. Here, with the third party, everything comes in and out of this office," she said. "The service has been excellent over the years, and I hate to see us forced to give that up." Several cities, including Estacada, have been discussing whether to challenge the state's interpretation of the Oregon Constitution in court. Sen. Arnie Roblan, D-Coos Bay, said several cities he represents are affected by the new rule, including Dunes City. "The question is why now, and I guess it is because the question got asked," Roblan said. "It is creating a lot of controversy." If the courts found that the justice department's interpretation of the constitution is correct, it would require voter approval to change, he said. Bryan Hockaday, a spokesman in Gov. Kate Brown's office, said the governor's regional solutions team is working with local communities as the consumer and business services department helps municipalities comply with justice department's memo. "Already, DCBS has provided a number of informational resources to municipalities and is committed to helping ensure a smooth and timely transition so building projects may move forward with little to no delay," Hockaday wrote in an email.